That may be due in some measure to the inclusion of such songs as North Country Lass and Trimdon Grange, neither of which I associate with Maddy but both resonant of the northern clubs I frequented or ran. Those words were written before I consulted Maddy's own album notes. "This album is in many ways a return and revisiting of songs that first engaged me," she writes, as if sensing what impact it will have on a reviewer of a certain age. "I have always found the tradition of English lyrical and pastoral ballads an area of sweet melancholy...."
It is a deeply pleasing body of work, and a logical new step in the Maddy Prior story, distancing her some way from the effervescent folk-rock chick of years ago who would leap from the stage, leaving Steeleye in full flow on sets of jigs and reels, to dance around the aisles of theatres large and small. And, as I half suspected, the 16 tracks are songs she has not previously sung or recorded, but the sort of music that was familiar to her from floor singers and fellow troubadours in her earliest days on the folk circuit. The result is a thoroughly pleasing body of work. It is also a logical step in the Maddy Prior story, distancing her some way from the effervescent folk-rock chick who would leap from the stages of theatres large and small, leaving Steeleye in full flow on sets of jigs and reels, to dance around the aisles. She has always been a fine singer, even if there are those who have found the nasal aspect to her voice a little jarring. And now, there is an unmistakable maturity, suggestive less of a woman showing her age than of a singer comfortable, leaving aside what I detected as a solitary wobble, with natural vocal changes. The North, which has been her home for many years, is amply represented. Beyond the songs already mentioned, Maddy tackles Came Ye From Newcastle, Staines Morris and The Collier Lad. But do not suppose that the geographical reach is short. There are also echoes of southern England and Scotland, while Bold General Wolfe celebrates a fallen hero of - whisper it - British imperialism who died leading the Siege of Quebec. The Left generally has all the best tunes, so its inclusion is quite delicious in its political incorrectness, whatever may be felt about the exploits and legacy of Empire. From the opening lines of Dives and Lazarus, this is an album of immense charm and substance, one that I heartily recommend. And where does "delightfully rude" come into it? Listen to the lyrics of Trooper's Nag, taken from Thomas d'Urfey's Pills to Purge Melancholy and you will see why Maddy gives it this description. Seven for Old England can be bought, along with other great folk albums, at knockdown prices from Salut! Live record shelf. As a lad of 17 i discovered steeleye span about 1970/71 and immediatly fell deeply in love with Maddy and her voice. i went to see them whenever they appeared in the manchester area for years, but once marriage, home and kids took over i stopped going to gigs about 1977-78 and didnt see her (or hardly anyone else) live for over 20 years although i never stoped buying the records. In 2001(i think it was) Dave Swarbrick had one of his many comebacks with a duo's concert at brampton near Carlisle.My younger brother livews near there so he went and got me a couple of tickets for Swarbs comeback concert. so the day came, i finished work early and drove up to carlisle, picked up the brother and off we went to brampton. on arrival i sat in the bar and had a couple(just to get rid of the dust from the journey, you understand) and nature took its toll and i had to find the loos, searching rpound the school for them i heard anglels singing and playing the guitar! it was Ms Prior and Martin Carthy practising "the lark in the morning" in the school stairwell and the echo made it sound like the massed ranks of prior and carthy soundalikes giving out. All of a sudden i was 17 again and hearing them onstage at manchester university students union for the first time, the hair on the back of my neck stood up and i just stood and listened to them practising for about 10 minutes it was absolutely spellbinding. So that was it i was hooked again, back on going to gigs and getting the back catalogue which i had missed,and remembering quite how much i love Maddy Prior(in a non marriage threatening way, Just in case Rick Kemp reads this). Every Christmas the school disco was the place to be seen. For all budding DJs it was the chance to shake the floor with a record of thier choice. This year, 1975, I had several lined up. Roxy's Love is the Drug, Island Girl, Elton John and Suzi Quatro's Can the Can. There was one recent purchase though that was burning a hole in my turntable. Could I drop that vinyl? It would make or break me. Having the courage of my convictions I took it along. Merry Christmas Everybody, I Wish It Could Be Christmas Everyday, Lonley This Xmas. The floor was full. Then came my turn. Mr Hornsby took it from it's green paper sleeve, and as the sound of Mud faded away, All Around My Hat burst forth and the dance floor errupted. As I was swept away by Jane Davis for a sweaty xmas kiss, my life was complete. Thankyou Steeleye Span, thankyou Maddy Prior. After I'd complained about the wallpaper in my room for some time, my parents agreed that I could strip it and repaint, during the next school holidays. Since the paper was now officially condemned, I felt free to add an extra layer of decoration, mainly consisting of lines from favourite songs in laborious swirly lettering. Pride of place, though, went to a single word in six-inch capitals, placed there remind me of something truly extraordinary that I'd recently seen on Top of the Pops. It was a remarkable performance of a unique piece of music - at once pure and raw, intricate and earthy, delicate and strident, and made up of nothing more than the human voice. There were four voices interweaving like the threads of a tapestry, and above them there was a a fifth voice rising high and clear, sounding like moonlight through a monastery window. It was unforgettable; it still is. I was asked to help out in the alto section of a local church choir one Christmas a few years ago. At the rehearsal for the "Service of 9 Lessons and Carols", we were presented with sheet music for Gaudete and started to sing it. The conductor stopped us and asked us to stop singing like a church choir and to "sing it how it should be sung". So I stuck my finger in my ear, the conductor collapsed in a heap of laughter and the blue rinse brigade had absolutely no idea what was happening. When I was 14 or 15, I used to listen to a low-power radio station that broadcasted from Highland Park, IL, a northern suburb of Chicago. I had my clock radio alarm set for 6 AM when the station signed on in the morning and would doze, listening, for a short time before I had to get ready to go to school. One morning, I was doing a "doze" and heard "Let never a man a wooing when that lacketh things three...." and was immediatly jolted to full awake-ness. I continued to listen. When the electric instruments came on, I was hooked. I quickly grabbed a pen and paper so that I could hear the back announce and write it down. That song stayed with me all day until I couldn't stand it. I left school, ditching my afternoon classes (yes I did have to pay the price of after-school detention) and went to the local record shoppe. I actually found a copy of "Below the Salt" and played it continuously for the next two weeks. I have been a Maddy fan (and a Steeleye Fan) ever since. When I was 15, back in 1973 there were some excellent late night 90 minute music shows on TV here in the states: Don Kirshner's Rock Concert, In Concert and even the pre-disco Midnight Special wasn't bad. What was so good was the variety of artists that it took to fill up that much time. Variety being the most missed ingredient in the modern music scene. You could see Brownsville Station sing "Smoking in the Boys Room" then come back from a commercial and behold there is Pentangle owning the stage. Anyhow, one night I saw this band playing this music like I had never heard before. Old as time and yet fresh as the morning dew. It got inside me and changed my outlook on music forever. Then this beautiful, ethereal lady singer takes off dancing barefoot all over the stage and that was it! I was in love for the first time in my young life. I was talking a man at a party in Leeds many years ago, who was telling me that he used to be an Arts Animateur somewhere in the West Country. His project was to help local musicians by arranging local gigs and tours in village halls and community centres. One of the young artists he helped out was the daughter of a TV scriptwriter who, as he said "turned out not to need very much help at all"
Here's a thanks to that man, and to Maddy for all those great performances. I wish I was old enough to have an anecdote!! Reminds me of another Maddy story. I was hearing her live but unamplified for the first time (usually it was at big Steeleye gigs with mics attached to huge rigs) and was sitting fairly close, about 20 feet away. While she was singing a police car drove by, siren in full blare right across her song. She never dropped a beat, just swung into rhythm with it until it was gone, making the cops something of a duet partner. Bet that was a first. Hearing her live was sort of a revelation for me, because until then I had found a rather metallic quality in her voice which I didn't totally like. But that must have been some effect of amplified sound, because without it, her pure natural tone was a delight. I heard a sweetness that was lacking in the bigger settings, but still with that same clarity and sensitive delivery. It was an eye (or rather ear) opener. Way back in the Mid-Eighties, I was lucky enough to get tickets to Maddy's solo "Woman in the Wings" tour, at Derby assembly rooms. After the concert a friend of mine wanted to get their album signed, so I went along with them. Imagine my surprise when Maddy beckoned me over to join her. However, the reason was that she had no table on which to sign autographs and, being over 6 feet tall, my back made an ideal lecturn. I was a young Steeleye Span fan due to my Dads love of them. 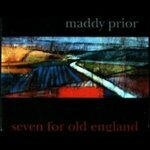 When I was about nine years old (1989)I wrote to Maddy Prior inviting her to my house for tea. I received a lovely postcrd back saying that she was a bit busy at the moment and wouldn't be able to make it to my house but next time I was at a concert I could pop backstage and meet her!!! This all came as a bit of a surprise to my mum, as the first she knew of my invite was when the postcard arrived!! I still have the postcard and one day may take her up on her offer! Does a Tim Hart story count? Anyway it was at Birtley Folk Club one Wednesday night (as usual)in the early seventies and Steeleye were playing Newcastle City Hall on the Thursday night. Midway through the first half in walks Tim Hart and a member of the road crew and not recognising them Pete Elliott asks them would they mind paying at the desk by the door. The word has already got around the club who has just come in and it finally gets to Pete who looks slightly embarrassed and calls an interval at that point and goes across to Tim and friend to refund their money (10p or so in those days)and welcome him to the club. Tim gets a song early in the second half and not long afterwards in come three more members of the crew all wearing Steeleye Span t-shirts. Looking at them and then to Tim, Pete declares "If you'd all been wearing those bloody things then I wouldn't have dropped my king sized goolie"
Some years ago myself and my friend Dave went to see Maddy Prior and Friends one Sunday night at the Guildhall in Derby. I have known Maddy for many years and after the bar at the venue had closed early, Nick, Troy and Maddy invited themselves back to my house for more drinks. It was the first time they had been to my house (as Nick said it was the first time a band had stalked one of their fans) and a good time was had by all and much whisky and wine was drunk. After they had gone back to their hotel I retired to bed and woke up the next morning with a bit of a headache. When I went into the front room to tidy up a bit I was surprised to find that the framed and signed poster of Maddy I had had on the wall had fallen off during the night and the glass smashed on the floor. Spooky or what! When I was little I loved trad/blues, but when I got older I got some very funny ideas, mostly that young people didn't like or listen to it. I wore blue lipstick and black nail varnish, snapped at everyone, and listened to some truly awful stuff I found on my own. I'd loved writing as a child in between listening, mostly poems and short stories, but young people didn't do that either, so I stopped. When I went to college I got really ill –- it sounds silly but I'm sure at least some of it was to do with not listening to what I grew up with. Dad was desperate to see Steeleye Span, but I thought they'd be no good so I said an emphatic NO. This caused problems for him because I am disabled and no care was set up that night, so he couldn't go either –- and problems for me, because though I didn't know/think it at the time, I shall regret it for the rest of my life. Next time he said "you're bloody well going," and dragged me to their gig (not literally). I heard what I now know to be 'Drink Down The Moon', realised why I'd worshipped Ms. Prior since I was little and why I still do, and got so emotional I nearly had to leave. I started writing again and haven't stopped, and one of my stories has been used for work with disabled children. Now I'm told to turn my music UP.